TOP! TOP! TOP! SAMO U APSOLUTU! 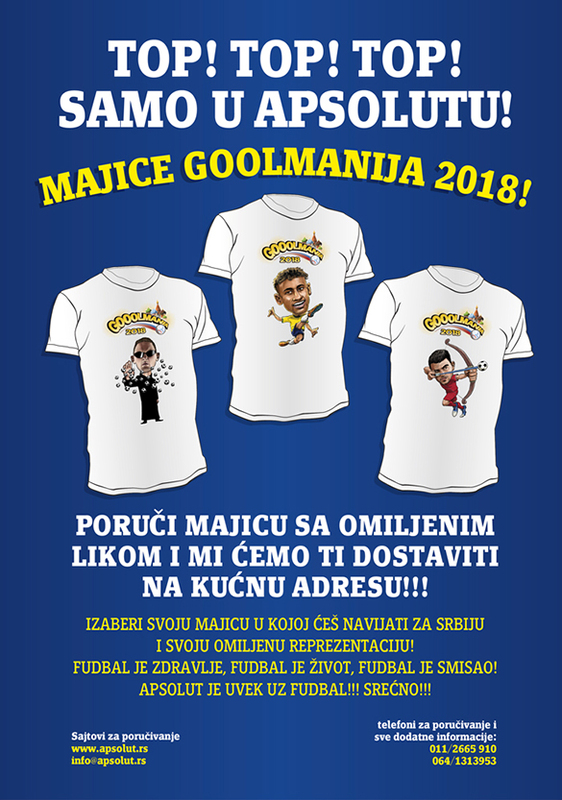 FUDBAL JE ZDRAVLJE, FUDBAL JE ŽIVOT, FUDBAL JE SMISAO! APSOLUT JE UVEK UZ FUDBAL!!! SREĆNO!! !